Housing is a matter of great urgency around the world. In cities that drive technological change and staggering wealth, there is a fierce struggle over two different models of creating affordable living conditions for working people, the poor, and immigrants. 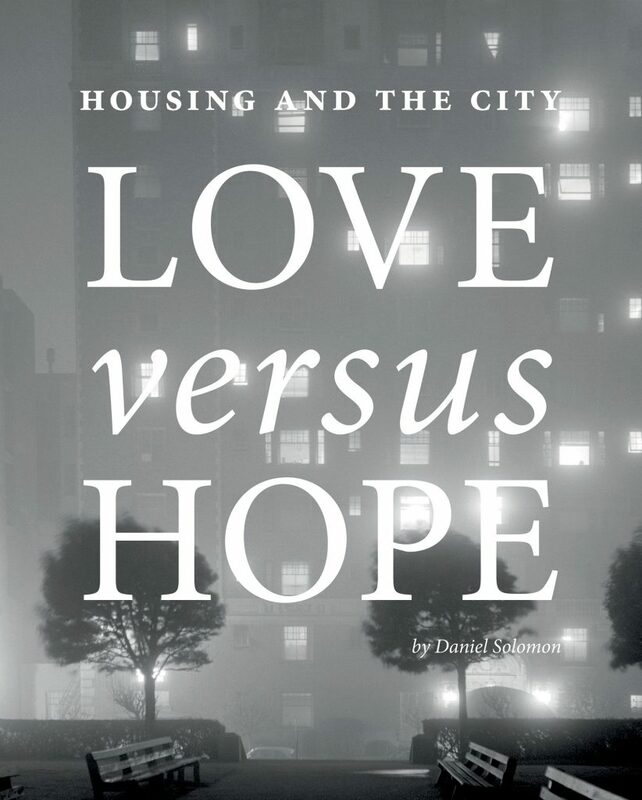 In Housing and the City: Love vs. Hope, a thoughtful book that is part history lesson, part memoir, and part essay, award-winning architect Daniel Solomon explores the successes and failures of cities such as San Francisco, California; Paris, France; and Rome, Italy. Interwoven with stories from Solomon’s own 50-year career, this engaging book adds a powerful new voice to the housing discussion. It will appeal to planners, architects, and people interested in cities as places of continuity, resilience, and refuge. Solomon is an architect and urban designer whose housing, mixed-use buildings, and urban neighborhoods have received more than 100 design awards. He is professor emeritus at UC Berkeley, and was cofounder of the Congress for the New Urbanism and coauthor of its charter. He is the author of four previous books and is partner at Mithun/Solomon, San Francisco.